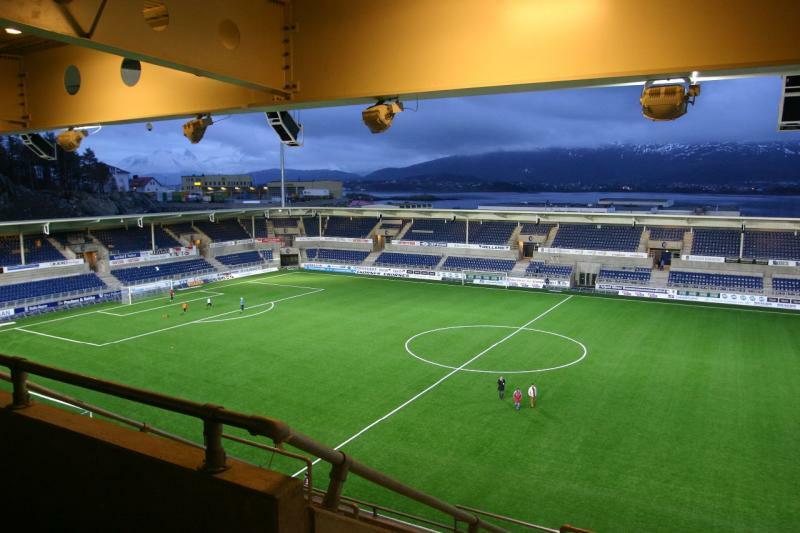 The Color Line Stadion opened on the 17th of April 2005 with a match between Aalesunds and Odd Grenland. 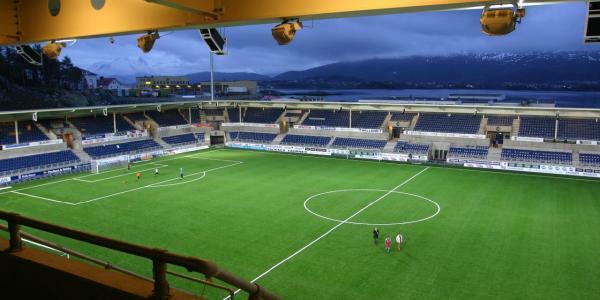 The stadium was the first top-league stadium in Norway to have an artificial pitch. The Color Line Stadion counts with a total of 702 VIP places. 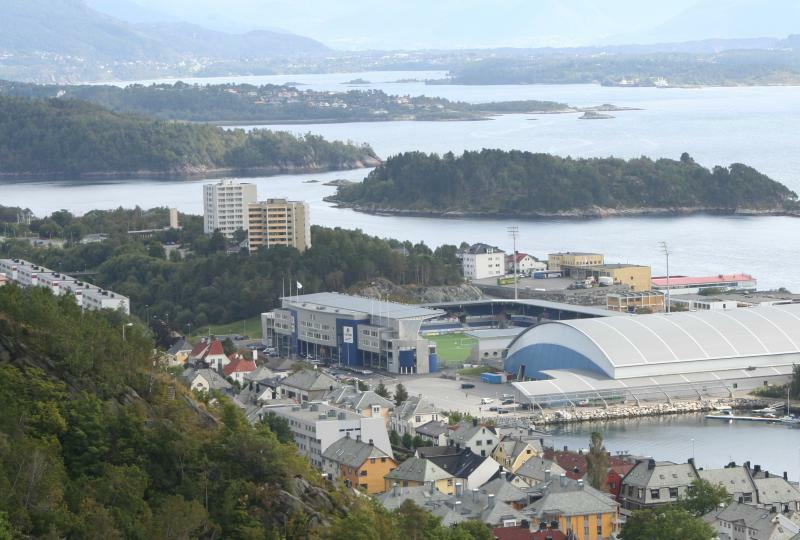 The Color Line Stadion is located in the east of the small city of Ålesund, just over 1.5 kilometres from the city centre. It is situated right on the shore of where the Geiranger fjord and Norwegian Sea meet. The stadium is situated next to the primary road going into town (E136). Take exit Volksdalen / Color Line Stadion, turn left taking the bridge over the E136, and turn right onto the Sjømannsveien. The stadium lies shortly ahead. From the city centre it is an approximate 15 to 20-minute walk. Make sure to stay one block inland as there is no possibility to directly follow the shore. A pedestrian bridge takes you over the E136 to the stadium. Tickets for Aalesunds FK games can be purchased online, or at the Tango club shop at the stadium. If tickets remain available, these can be bought at the ticket office on the day of the match. Aalesunds regularly sells out though. A ticket for the standing areas costs NOK 160.00. The price of an unreserved seat is NOK 180.00, while reserved seats range in price from NOK 230.00 to NOK 370.00. For more information email billet@aafk.no. Aafk.no – Official website of Aalesunds FK. Visitalesund-geiranger.com – Official travel guide for Ålesund and the Geiranger fjord.